I can think of no better way to catch up with an old friend than with a photo session. 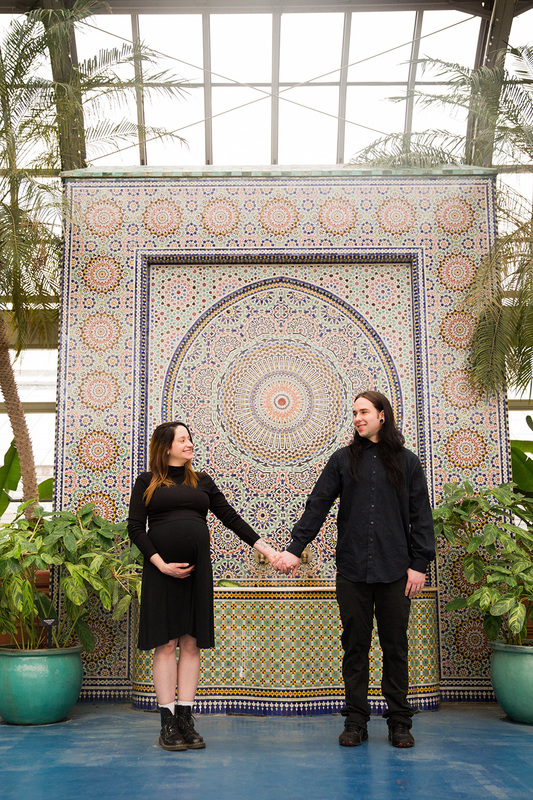 When Emily reached out to let me know that she and her husband, Dylan, were expecting a baby girl in late February, I jumped at the chance to photograph them during this exciting time in their lives. 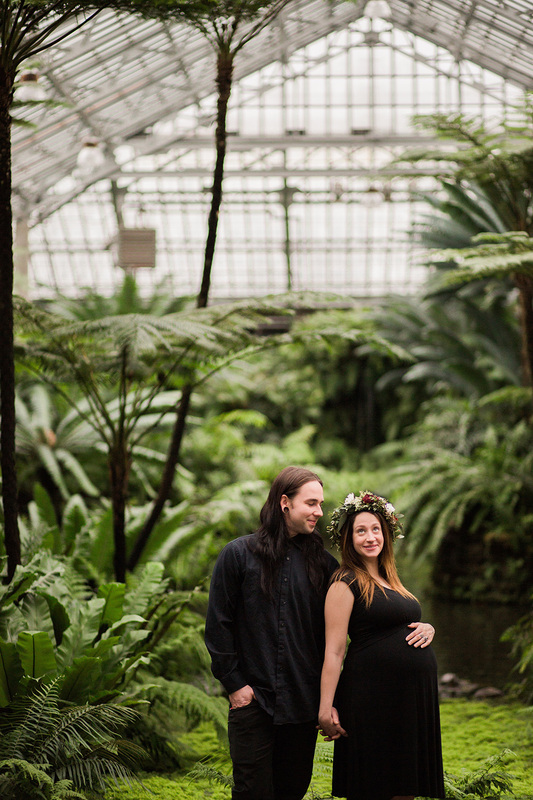 We warmed up on a chilly day in the gorgeous Garfield Park Conservatory, one of my favorite places in Chicago, to capture some ethereal, moody and downright fun photos of the two (well, three) of them. 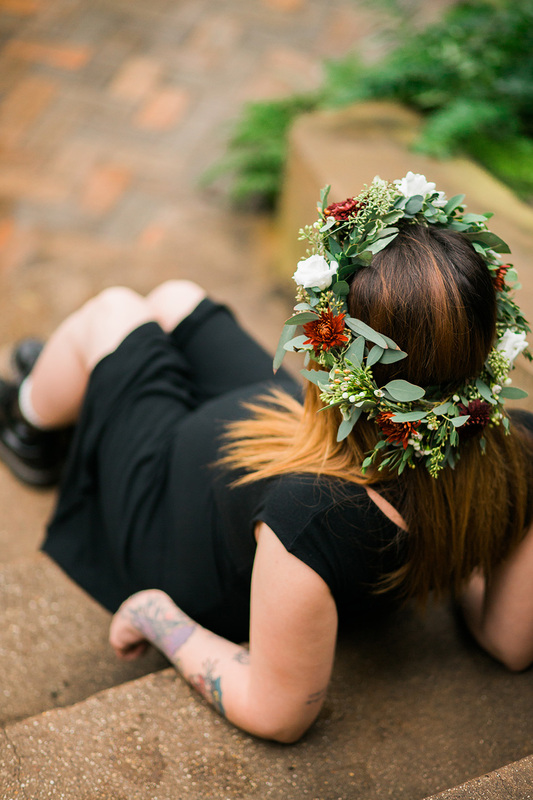 I can't help but love a couple that rocks all black for a session, and Emily perfected her look with her signature Doc Martens and a custom flower crown made just for our shoot by the fabulous team at Flowers for Dreams. Congratulations, Dylan & Emily! 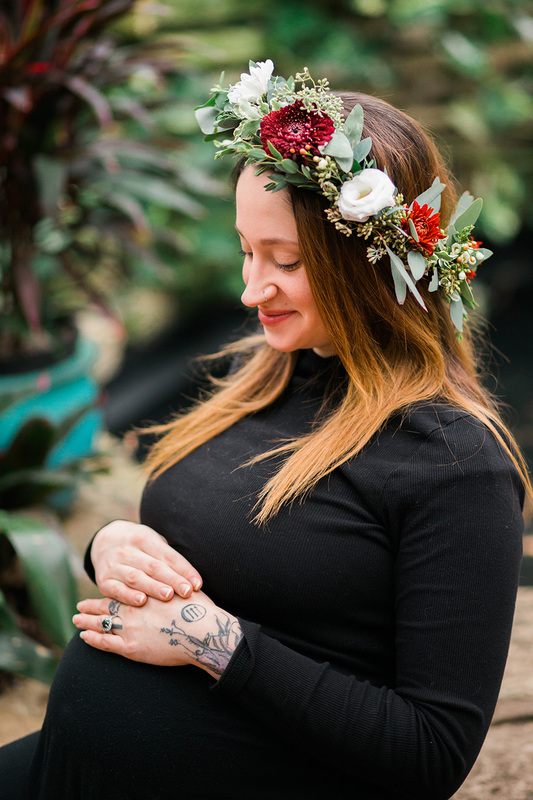 I can't wait to meet little Ruby.